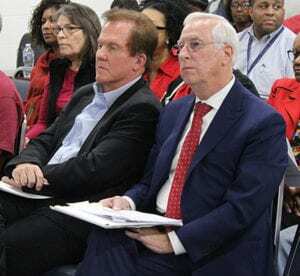 NASHVILLE, TN — Ethics and equal treatment are why metro planners postponed a vote on a grease plant’s move to Whites Creek Pike. Now, their decision depends on technical terminology. From right, front row, are attorney Tom White and Onsite Environmental owner Harvey Combs’ engineer, Roy Dale. move his grease recycling and polluted water treatment plant to 2832 Whites Creek Pike near a quarry. Residents want the land rezoned to stop the move. 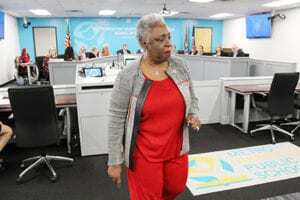 Oct. 25, At Large Councilwoman Sharon Hurt sought a delay. Planning commissioners reset a hearing and decision to Nov. 8 because residents had no lawyer to argue the technicality. Is the new site “active.” Was work done based on permission from the government? Some commissioners asked why a lawyer wasn’t hired before the request. Without one, it’s unfair to proceed, they said, but the burden of proof is great because of staff advice. 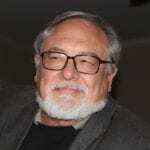 Onsite Environmental’s attorney, Tom White, defined the question. “Is the development active or not active?” Commissioners consider the “aggravate of activities” in the last 12 months. Planning staffers listed expenditures of $1.7 million on engineering, surveys, tree planting and “sewer … brought to the property,” White said. “All that happened under the (state) Jackson Law,” adopted by metro’s council Aug. 8 when it decided the project meets state environmental criteria for grease recycling, and treatment of very polluted water. “It’s been decided by a super-majority of 31-7” by the council, said Councilman DeCosta Hastings, noting approval by the Tennessee Department of Environment and Conservation. Metro “can’t do anything” about state approval. “The facility can move there because of zoning” approved in 2009. Zoning is one of the Jackson Law’s criteria. 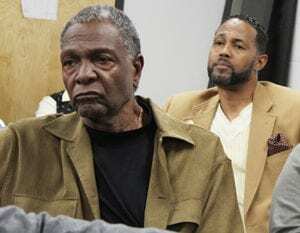 Former Councilman Frank Harrison, left, and Councilman Hall listen to metro planning commissioners consider a delay until 4 p.m. Nov. 8 at the Howard Office Complex on Second Avenue. uses in a mixed-use business park with retail services. If Haynes-Trinity Neighborhood Coalition’s lawyer persuades planning commissioners the SP Zone is “not active,” then rezoning is the issue with more hearings. 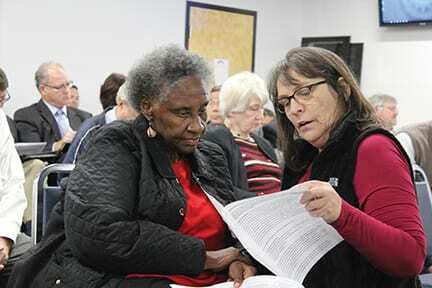 Nov. 1, Haynes-Trinity Neighborhood Coalition members were to meet 6-7:30 p.m. in Born Again Church on Trinity Lane. The topic: goals for a community benefit agreement.